WASHINGTON — An appeals court panel sided with Metro Tuesday over the Catholic Archdiocese of Washington in a lawsuit challenging the transit agency’s advertising policies. The church’s ads contained images evoking the three wise men and a message to “find the perfect gift” in the Catholic church. A lower court had rejected the request to force Metro to run the Christmas ads last fall. “The Archdiocese has not shown, however, that WMATA is impermissibly suppressing its viewpoint on an otherwise permitted subject, and its claim of discriminatory treatment is based on hypothesis,” Judge Judith Rogers wrote in the court’s opinion. Metro implemented the ban on issue-oriented ads in 2015 after safety and vandalism concerns tied to ads like ones disparaging Islam. “Were the Archdiocese to prevail, WMATA (and other transit systems) would have to accept all types of advertisements to maintain viewpoint neutrality, including ads criticizing and disparaging religion and religious tenets or practices. Because the Archdiocese has not demonstrated a likelihood of prevailing on the merits or that the equities weigh favorably, it has not met the demanding standard for a mandatory preliminary injunction,” she wrote. Judge Brett Kavanaugh, now nominated for a Supreme Court seat, participated in arguments in the case but did not participate in the opinion. Judge Robert Wilkins filed a separate opinion concurring with Rogers. The church had urged the court to find that part of Metro’s ad policies, Guideline 12, was unconstitutional and/or violated federal law. The guideline bars advertisements that promote or oppose any religion, religious practice or belief. “Urging the finding of a free exercise violation based on no evidence of animus other than Guideline 12’s naming of religion, the Archdiocese again invites the court to impute hostility on a heretofore unrecognized basis, and with no suggestion of how the proscription of the subject of religion might otherwise be effected in a non-public forum. This position not only finds no support in Supreme Court precedent, but would also upend it, something this lower court may not do. Accordingly, we affirm the denial of the preliminary injunction,” the opinion said. The court rejected a claim that a yoga studio ad that Metro did accept was religious. This is just one of a number of cases challenging Metro’s advertising policies after other ads were rejected from groups like People for the Ethical Treatment of Animals and for things like a book by Milo Yiannopolous. Those cases were largely on hold pending a ruling in this case. “Because Guideline 12 prohibits religious and anti-religious ads in clear, broad categories, bureaucrats are not called upon to decide whether the ad criticizing the Catholic Church’s position on condom usage, or the anti-Islam Muhammad ad, or the Find a Perfect Gift campaign ad is the more “offensive,” or otherwise censor religious messages. WMATA’s subject based prohibition abides by the Supreme Court’s recognition that “[i]f there is any fixed star in our constitutional constellation, it is that no official, high or petty, can prescribe what shall be orthodox in politics, nationalism, religion, or other matters of opinion,” Rogers wrote in Tuesday’s opinion. The archdiocese had also argued that ads for holiday season gifts meant Metro allowed commercial Christmas ads but not religious ones. “Ads promoting Christmastime sales are not expressing a view on Christmas any more than a McDonald’s ad expresses a view on the desirability of eating beef that demands the acceptance of a contrary ad from an animal rights group, or than a Smithsonian Air and Space Museum ad for a special stargazing event expresses a view on the provenance of the cosmos that demands a spiritual response,” the court said. 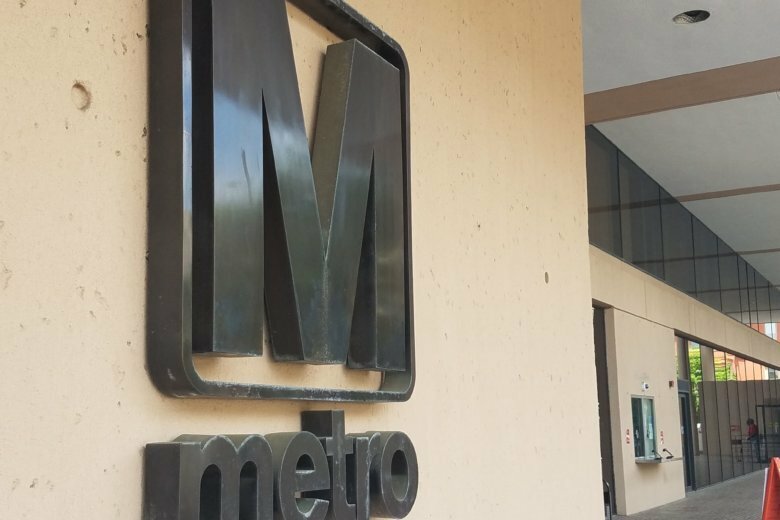 The court found that Metro’s acceptance of ads for the Salvation Army and a Christian radio station show Metro is judicious in how it applies its ad policies. While not a final decision, the court also suggested that the federal Religious Freedom Restoration Act likely does not apply to Metro, since it does not apply to states like Maryland or Virginia.